B'nai Sholom is a diverse and engaging community. We are open and inviting so please check out our Frequently Asked Questions below! We look forward to hearing from you and meeting you! 1) What are services like at B'nai Sholom? A: B'nai Sholom offers weekly services that provide a unique range of Reform, Conservative and Traditional practices. Next Steps: Check out our Calendar and our Services section. Join us whenever you can! 2) Do I need to dress in a special way to attend services? A. B'nai Sholom is a mix of Reform and Conservative practices so please dress appropriately.. No dress up is required. Men (and many women, including the Rabbi) often wear a kippah while indoors as it is a sign of respect, but it is not required. Next Steps: Read through our Services page. If you have questions, please email Rabbi Eglinton. 3) Do you offer Torah study classes? A: Yes! Rabbi Eglinton is a wonderful teacher and she offers Torah classes as well as Hebrew classes at the temple! Next Steps: Please check out our Calendar and our front page news stream for upcoming Torah Study classes! Our Saturday morning Shabbat services also provide insight and discussion into Torah! 4) Do you have interfaith events? A. Yes! 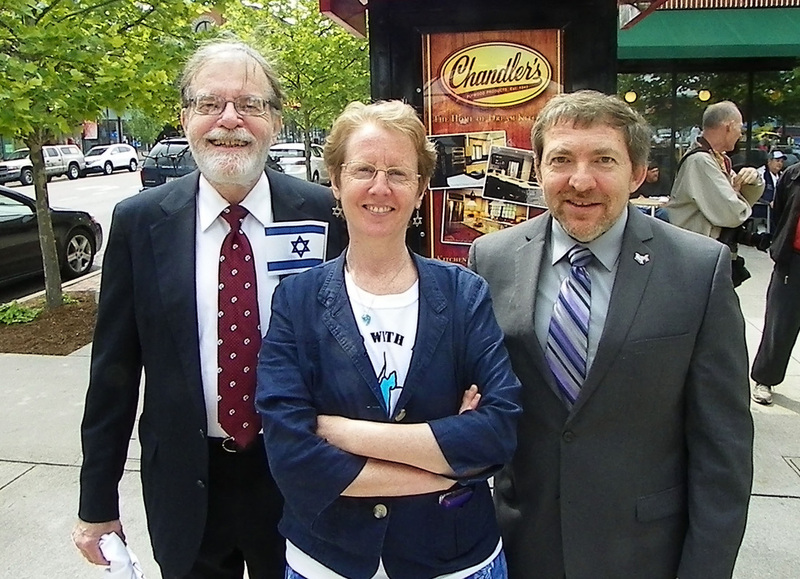 Rabbi Eglinton is very involved in our broader religious community and we often participate or host interfaith events. Next Steps: Check out our Calendar for past events and up-coming events! 5) What is available for different age groups at your temple? A. We have an active community with members of all ages! Our congregation services infants to teenagers, young adults, college students to senior citizens. Next Steps: Click on the Community link in the navigation bar above for a complete list of our activities for all groups. 6) What if I want to become Jewish? A. Conversion to Judaism is a very significant step in a person's life and it takes a great deal of thought, practice and involvement in the community! Judaism welcomes coverts and many of our members converted to Judaism. Next Steps: Attend a few services and become familiar with Jewish religious services. Talk with our members and build connections. Once you feel comfortable you can set up time with Rabbi Eglinton who can personalize your experience more fully. 7) I have a lot of questions about Judaism. Can I speak with the Rabbi? A. Rabbi Eglinton is very welcoming and approachable and she would love to talk with you! Next Steps: Make an appointment with Rabbi Eglinton by calling our office. 8) Can I interview the Rabbi for an article or a paper or ask the Rabbi to speak to my group or class? A. Rabbi Eglinton is very acive in the community and she enjoys discussion and questions. She teaches at Marshall University and is often a part of interfaith educational events and celebrations. Next Steps: Please call our office to confirm that Rabbi Eglinton is available for what you need.